Your backyard is an experience. From the landscape design, lighting, walkways and seating areas, to pools, hot tubs, puttings greens and more, a yard can be one of the most enjoyable parts of any home. As a pool and landscape company in Arizona, we are able to integrate your style into stunning designs, so your yard complements your pool perfectly. We will set up a time convenient for you at no charge with one of our professional Swimming Pool & Landscape designers. Getting to know you personally, your style, and how you will be using the space will be discussed during this consultation. Creating a design specifically for your lifestyle is our #1 goal. At nuView, we create a Custom 2D CAD drawing & recreate in our 3D rendering software. Incorporating your personal style and experience from our professional designers, we will create that dream pool & yard you have been waiting for. We offer a variety of pool shapes completely customized for your yard, such as freeform, geometric, natural, and custom pools. Also offer a wide range of landscape options including paver decking, outdoor kitchens, fire pits, shade structures, artificial turf – and much more. We take great pride in our craftsmanship and guaranteed to be of top quality. We build top-of-the-line projects to bring your family and friends together in a comfortable, fun, and safe way. Our project management software allows you to follow the entire process in real time. Sit back and relax while our team of seasoned professionals build that space you have always dreamed of. At nuView Pools & Landscape, our pool builders and landscape designers offer flexible scheduling and services from Monday to Friday, 8am-6pm. 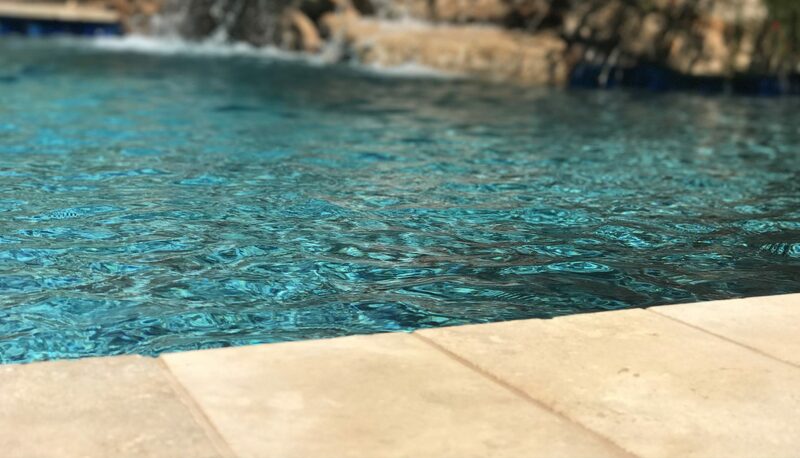 We bring non-expensive, affordable pool building and landscape design options to the table for homeowners in the East Valley and surrounding areas. nuView landscaping options, new pool construction, and pool remodels are custom designed with 3D rendering and utmost precision and care. Licensed, bonded, and insured, we guarantee that our workmanship will be the best. Our designers take extra measures to ensure top results. Having a great yard should not mean spending hours every week doing maintenance, or having sky high water bills. Your pool should also be a low maintenance source of enjoyment for you and your family, with reliable equipment and great filters. You should also be able to have a pool that matches your home, and take advantage of everything technology has to offer. Custom pools, outdoor kitchens, pavers, boulders, firepits, built in grills and more. Don’t limit yourself – if you can dream it, we can build it. With design possibilities being shared on the internet, the options clients may request are truly varied. From custom design and fabrication to working with some of Arizona’s finest contractors, we bring excellence to every design on which we work.